The high definition VGA Twisted Pair video transmitter and receiver VGAABST is a high quality VGA video extender. 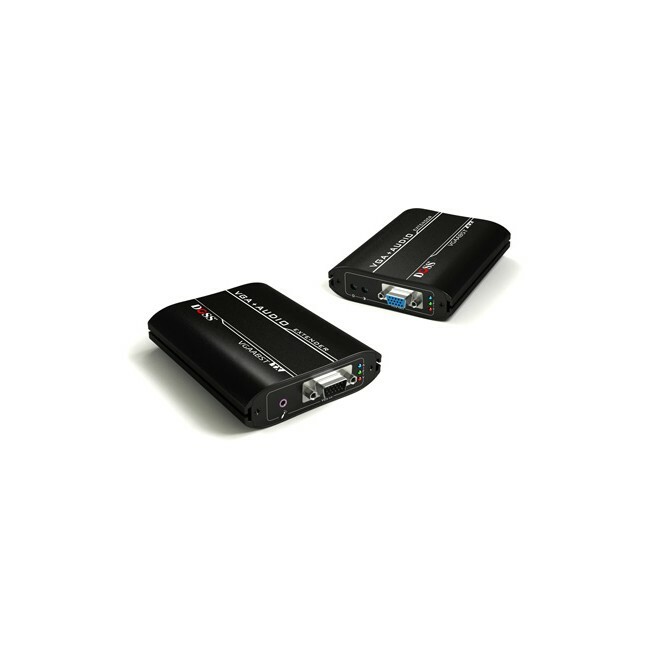 Working as a pair, the VGAABST extends VGA, SVGA, XGA, SXGA, WXGA, UXGA video signals from a PC to a display up to 200m/650ft over UTP CAT5/5e/6 cables. With super interference rejection and high-end TVS for surge protection, the VGAABST is able to work in various environment. The picture quality is sharp; there’s no ghosting and no tailing.